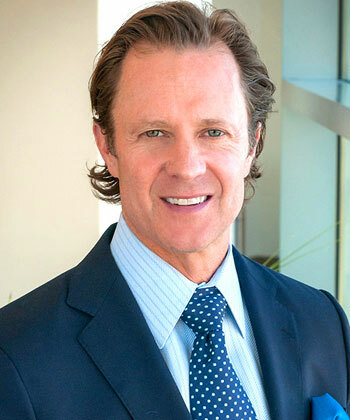 Dr. Jeffrey Kenkel is a board certified plastic surgeon who provides exemplary aesthetic services to a diverse clientele of patients in the greater Dallas, Texas medical marketplace. Dr. Kenkel is a noted authority in plastic surgery, as well as an educator, researcher and advocate for the continual advancement of his beloved medical focus. His best attribute, however, is his ability to work closely with his clients to provide the exact types of bodily changes which keep his patients coming back year after year. Dr. Kenkel has a long history of partnership with the esteemed University of Texas Southwestern Medical Center, where he performs many functions, including being a Professor and serving as The Chairman of the Department of Plastic Surgery. Dr. Kenkel is not only a plastic surgery provider, but also a very active physician who encourages his patients to pursue a healthy lifestyle. He is always available to help guide his clients on finding the best path for them to cultivate good health and complete wellness through diet, exercise and lifestyle choices. We are thrilled to introduce Dr. Kenkel to our readership, as we have been aware of his work for a very long time. Let’s take a closer look at Jeffrey Kenkel, M.D. and profile his surgical practice in Dallas, Texas. Jeffrey Kenkel earned his Bachelor of Science Degree from Boston College before graduating Georgetown University School of Medicine with his Medical Doctor credential. After finishing medical school, Dr. Kenkel undertook a general surgery residency at Georgetown University School of Medicine, followed by the start of his association with The University of Texas Southwestern Medical Center, through a residency in plastic surgery. Jeffrey Kenkel, M.D. 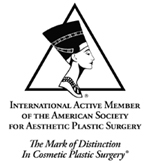 is certified by The American Board of Plastic Surgery and is a licensed physician in Texas, California and Florida. He is a Fellow of The American Association of Plastic Surgeons, The American College of Surgeons and a Member of The American Society for Aesthetic Plastic Surgery, where he served as President of the organization in the past. 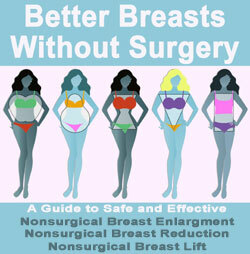 Dr. Kenkel is renowned as a breast surgeon, performing a range of procedural techniques to help his grateful clients to find their ideal body image. He specializes in breast augmentation, utilizing a range of breast implant and incision location choices, as well as offering multiple anatomical placements for a customized look and feel. Dr, Kenkel provides combination lift and augmentation services too, when the patient’s needs go beyond simple breast enlargement. On the opposite side of the coin, Dr. Kenkel offers dedicated breast lifts and breast reduction techniques for women with ptosis and pain issues that often stem from large, heavy and degenerated breast tissues. Since Dr. Kenkel embraces so many possible options when it comes to finding the ideal procedure and implants for each woman, clients are assured that they will receive professional care that will fully satisfy all of their innermost desires for perfect breast surgery results. Jeffrey Kenkel, M.D. is an excellent general plastic surgeon, as well. His facial procedures can enhance the visage of every client, often far beyond their expectations. Some of his most popular procedural offerings include: facelift, brow lift, eyelid surgery and facial rejuvenation. He also provides nonsurgical aesthetic improvements including: Botox, skin filler injections, laser skin resurfacing, laser hair removal and a full line of skin care products and services. For body, Dr. Kenkel focuses much of his practice on performing liposuction, tummy tuck, post-weight loss surgery, buttocks augmentation, thigh lift and arm lift, as well as combining many of these specialized techniques into all-inclusive Mommy Makeover surgeries to address multiple aesthetic concerns all at once. The positive mind and body effects of such combination surgical services can literally change lives! Dr. Kenkel is a proud provider of plastic and cosmetic surgery services for both women and men alike. Patients in the greater Dallas, Texas area, including Irving, Grand Prairie, Arlington, Plano, Arlen, Fort Worth and Mesquite, can contact Dr. Kenkel for a personalized, in-depth consultation at his office at The University of Texas Southwestern Medical Center. Should you decide to undergo plastic surgery or aesthetic services with Dr. Kenkel, you will have the wonderful option of staying overnight at the onsite Medallion Guest Suites, which are located on the 3rd floor of the Outpatient Building. These luxurious suites provide the optimal environment for recovery for both patient and family, with all the amenities of home and skilled expert nursing care.